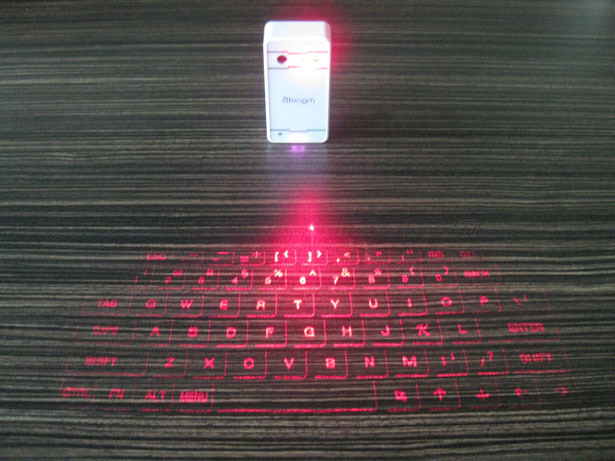 We just got Atongm Bluetooth Virtual Laser Keyboard for an honest review, it looks like it’s the cheaper version of the famous Celluon Magic Cube laser projection keyboard. 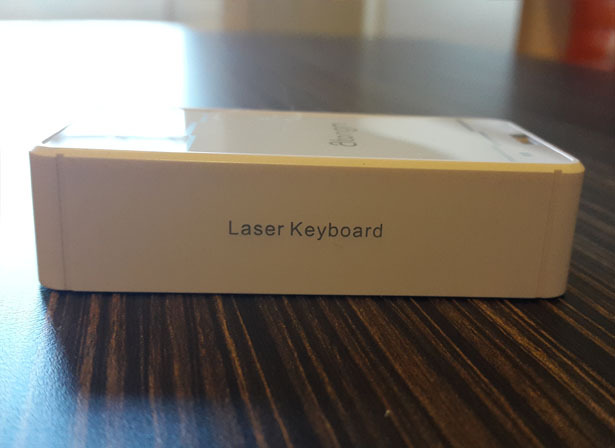 But before you jump into conclusion that this device is not as good as Celluon, you should read our hands-on review here to get to know Atongm laser keyboard, because cheaper price doesn’t necessarily means low quality product. 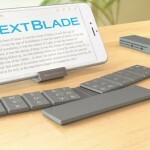 James from GearBest sent us this portable gadget that projects a virtual keyboard to any surface, but we highly recommend that you use only flat surface, otherwise it might not work as expected. It really does look like something you see in Sci-Fi movies. When I received this unit, it comes in a small white box, there’s no particular brand written on the box, not even the brand Atongm is mentioned, in fact the word “Virtual” is written as “Vitual” (perhaps the company can do something about this). 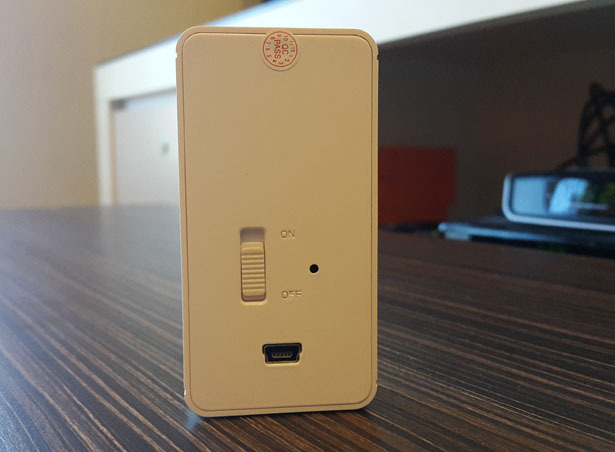 Opening the box, it reveals a little white gadget that fits in your pocket. 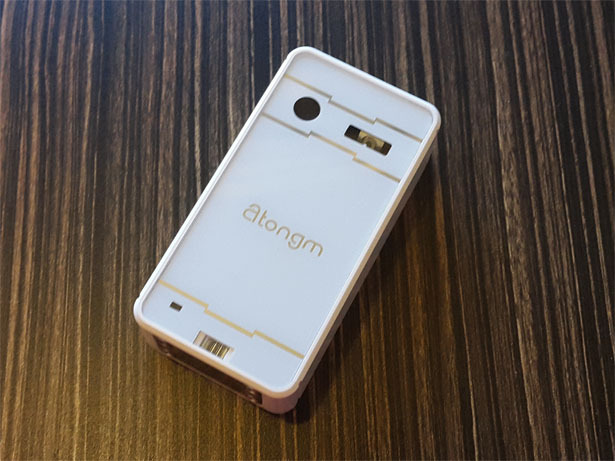 It looks pretty nice, sleek and stylish in white color, now you can see the Atongm brand at the center of it along with the sensor, laser projector, and a LED indicator. The weight seems just right, it’s not too light or too heavy, it feels pretty solid. 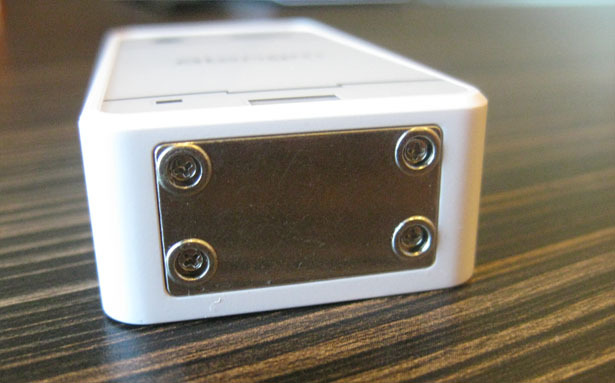 At the back side, you can find on/off switch and a mini USB connector. Turn the switch on, Atongm automatically projects a red virtual keyboard on the surface, it features English QWERTY keyboard layout. 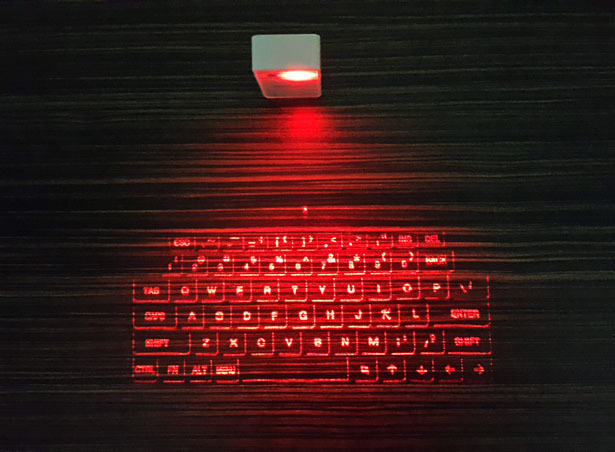 Now, you need to pair the device with your tablet/smartphone/laptop, simply press FN+B and activate your Bluetooth function, it’ll recognize Atongm as “Laser Keyboard”. 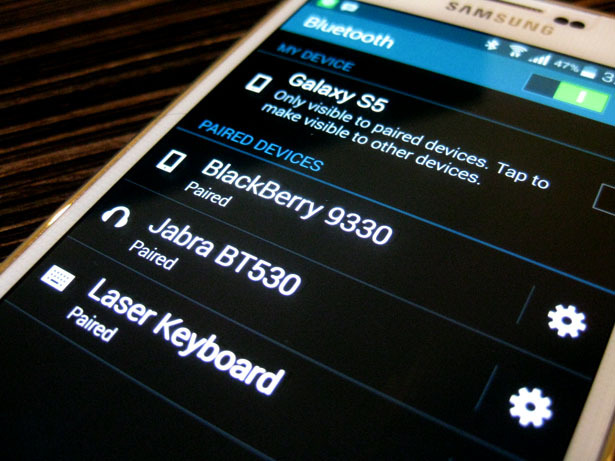 At this step, we were having trouble with this device, after pairing the laser keyboard with our Samsung Galaxy S5, I immediately tried to compose a new text message, but it didn’t seem to respond to the virtual keyboard. I tried different apps, yet it failed to write anything that I typed using Atongm. 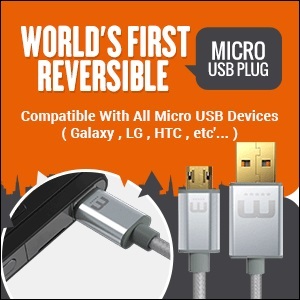 I was not sure how to fix it, so I thought about restarting the phone several times, and voila … it did solve the issue. 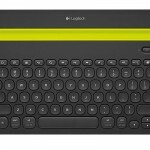 If you have the same device and experience similar issue, try restarting your smartphone/tablet or turn this laser keyboard on/off. 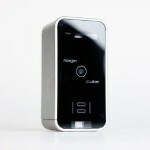 The company claims that this device is able to detect over 400-characters/minute and with its low power consumption, the battery lasts for about 3 hours of non-stop use. 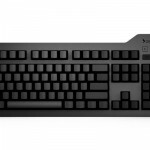 However, based on our typing tests, this virtual keyboard was having trouble in detecting my typed characters, I’m pretty sure my typing speed is average, perhaps for the next version the company can implement more sensitive sensors. 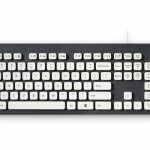 In the mean time, you should type slower than usual. 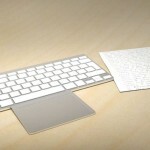 You can see below the typing result when I type as usual, it’s a bit difficult since I don’t feel any tactile feedback. So, our overall experience can be said not that impressive but not really bad either. 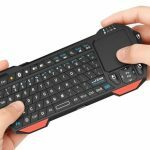 Atongm Bluetooth Virtual Laser Keyboard does help when you need to do some serious typing with your tablet/smartphone, it sounds cool, but actually it’s not really as effective as promised. 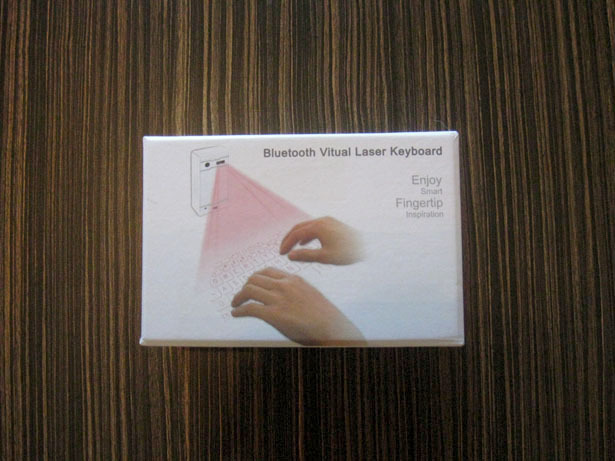 Tuvie has received “Atongm Bluetooth Virtual Laser Keyboard” from our ‘Ask for A Review‘ feature, where we receive test unit/product sample for a review. 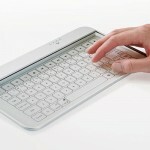 Tagged as futuristic virtual keyboard, laser keyboard projector, red light keyboard, sci-fi virtual keyboard. How much does this cost? 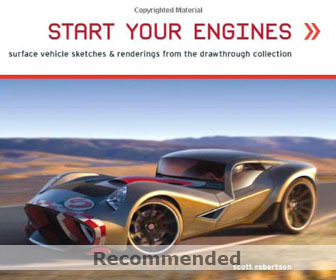 This would be very handy when you’re working on the go.